Every month, Germany based Federal Motor Vehicle Office compiles the list of best-selling vehicles in the country by taking into consideration customer feedback. Seems like the small car, which is built exclusively in India, has taken the crown this time around. 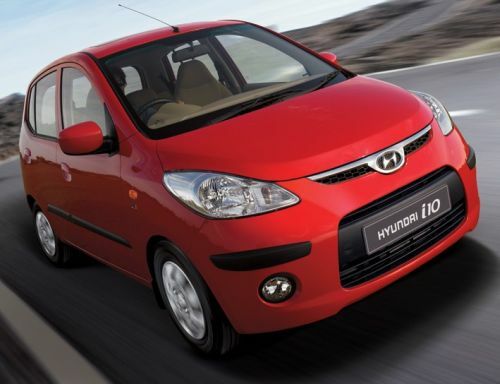 Hyundai i10 "Most Beloved light Vehicle"
According to their latest reports, this time in A-segement its of the Korean carmaker - Hyundai i10 became the "most popular small car in Germany". It has been named the "Most beloved light vehicle" of November by German consumers. It has happened for the first time that a Korean vehicle secured the top one ranking. It seems like after the taste of success in India, Hyundai's i10 is tasting success in other parts of world too! According to the monthly "best-selling model list" compiled by the Germany-based Federal Motor Vehicle Office, or KBA, 3,107 units of i10 were sold in November, beating October's top seller, the Smart Fortwo. The Smart Fortwo slid to second place, with its sales 5% down from October. Boasting a powerful domestic auto industry that Germans have, Korean automakers earlier struggled to take larger car-market share ever since they entered the market. But lately, consumer tastes and habits have been changing rapidly and we are seeing more people consider buying Hyundai cars. Also, with rising popularity of the i10 and new i20 (which is not launched in India yet) is on the sight, Hyundai Germany should not have any problems increasing its sales amid financial crisis in Germany and worldwide. Small, affordable and economical cars are 'surely-in' in Germany.